Its a great shampoo it cleans your hair thoroughly and has a great smell that will last longer. 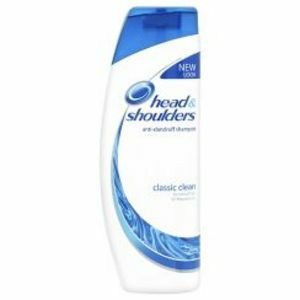 I've repeatedly gone back to Classic head and shoulders over the years. Just for kicks, and a couple of times by accident when I picked up the wrong bottle, I tried some of the newer versions of H&S they put out but I didn't see any difference and didn't want all the other "benefits" they supposedly possess. I can count on classic keeping me from getting an itchy scalp. I can tell when I've been traveling and had to use something in the hotel because I didn't bring my own shampoo. I will need to use classic head and shoulders for a few days to get back to an itchless head. In the summer when i'm in the pool a lot, I typically need to use the conditioner too or get the 2 in 1 version of classic. Otherwise my hair gets to dried out from the chlorine. The scent is pleasant and not too heavy with the perfume. It rinses out well and doesn't leave a residue feeling. Overall its a solid product that I've used for years and go back to using even after experimenting with other products. Along with having oily roots year round, during the summer my hair gets dirty all day long. Between the dust and dirt, the sweat, and the oil I sometimes feel like I need oven cleaner to get my hair clean at the end of the day. Luckily, Head & Shoulders Classic Clean Shampoo steps up and takes care of all the grime for me. 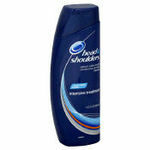 Effectiveness I have always trusted the Head & Shoulders brand, and this product does not let me down. With all the hay dust, dirt, sweat, oil, and sunburns my scalp is exposed to in the summer I need a shampoo that will get my hair clean without irritating my scalp any further. This shampoo does just that, as well as helping to heal my scalp and relieve the itchiness. The shampoo is thick and rich, it lathers excellently, and it leaves my hair and scalp feeling squeaky clean. Most importantly, it does all of this without further damaging my dry hair. Scent It has a classic Head & Shoulders scent which is pleasant and light. I've tried so many different shampoos to get rid of the awful dandruff that was on my scalp without drying out my hair. Nothing seemed to work. Even the expensive shampoo that was recommended to me by my doctor didn't work for me. A friend of mine recommended Head & Shoulders Classic Clean Shampoo saying that it is the only shampoo that worked for her. I used it for about 2 weeks before I began noticing a difference in my scalp and hair. After another 2 weeks, my scalp was completely dandruff free. The best part is, Head & Shoulders Classic Clean Shampoo did not dry out my hair or cause any type of damage to it. My scalp felt so clean and my hair felt so good. I was no longer embarrassed to wear black, because when I used to wear black shirts, the dandruff would show on my shoulders. I was also no longer embarrassed to play with my hair in public. Before, when I used to toss or flip my hair, the dandruff would show or flake off and that would be really embarrassing. 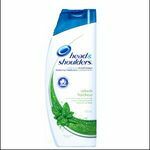 Head & Shoulders Classic Clean Shampoo is sold for a very reasonable price which is another reason I love it and would recommend it. The only thing I do not like about it is that you will have to use it permanently because once you stop using it, the dandruff would come back slowly. I first noticed my dandruff issue as a sensitive high school student with longish hair who wore more black than was probably advisable. Pretty embarrassing. 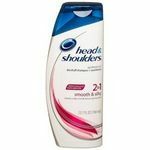 In my experience with dandruff shampoos, I have used the more expensive, medicated dandruff shampoos, but, for my money, Head and Shoulders works just as well and smells much better. I really don't want to spent the day smelling like a medicine cabinet. I like to buy the larger size bottle with the pump on the top, because I waste less and the bottle lasts forever. I've been using the same bottle for almost a year now. If you need to get rid of some flakes, Head and Shoulders works for me. Effectiveness My hair feels nice and clean after using this shampoo. It feels very gentle and non-damaging, so I feel comfortable using it every day. Scent The scent is nice and clean-smelling without being overwhelming. Scent is very important to me because several dandruff shampoos have a strong medicated smell. I've always suffered from dandruff, I consider it to be severe dandruff as I have black hair and it is very noticeable. So after seeing a coupon and tired of hot oil treatments I tried Head & Shoulders. At first it worked very well however with daily use I found sores developing on my head and my scalp beginning to flake even worse! I did what any good consumer would do and went online and filed a complaint. I was emailed that Head & Shoulders is only recommended for people with dermatitis for daily use!!! I find this incredible that this is sold in the shampoo isle! 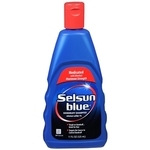 Along with Selsun Blue which also is only recommended for daily use to people with dermatitis! Shouldn't these products be sold in the pharmacy isles with T-Gel. Head & Shoulders has been false advertising. So if your using it and waiting for your dandruff to get better it is probably making it worse. Effectiveness Long term it makes your scalp worse unless you have dermatitis. Scent The scent is average. This is the shampoo I usually turn to for everyday use. It is a very reliable shampoo, especially when I need something to combat the frustration of what havoc winter weather wreaks on my head! It is so gentle on sensitive scalp and does a great job of soothing the itchiness and dandruff that comes along with it. It always leaves my hair so clean, soft, and shiny, and it smells so fresh and clean. I absolutely love this shampoo and I highly recommend it! I prefer using the 2-in-1 shampoo/conditioner version of this, but if you don't need conditioner, then this is just fine. Effectiveness I really love how well this shampoo works. I have always been so happy with the results and it is a fantastic value for the price. It works better than just about anything else that I have tried, even more expensive products. Scent The smell of this shampoo is so fresh and clean, and it is also neutral enough that it isn't overwhelming. Good shampoo if you have (or don't have?!) dandruff! Gave it an 8 since you can get a cheaper version (from 'equate' brand) that works just as well, but it doesn't come in a bunch of scents like Head and Shoulders does. I really recommend Head and Shoulders to anyone with dandruff. I've been using it for about 7 years and during that time I have not had any more dandruff problems. I have tried a few other brands of dandruff shampoo, but rarely do I find a brand that I like. Except for Head and Shoulders. I live in such a dry area it's hard to keep my scalp moist, soft, and non-flakey. One of the brands of dandruff shampoo I tried about a year ago made my dandruff worse! We can't have that now can we?! I returned to my use of Head and Shoulders because it seems to work the best. I'm not scratching my head until there are flakes everywhere anymore. It's been pretty recent years that I started using head and shoulders. I was fairly young and didn't really think about shampoos that could help my itchy scalp condition. Until my mom introduced me to it. I have used this product for a little over three years. And have never had an issue with it. Head and Shoulders doesn't smell too bad either. 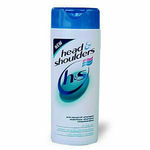 Considering there is a few other kinds of Head and Shoulders that make it smell even better!